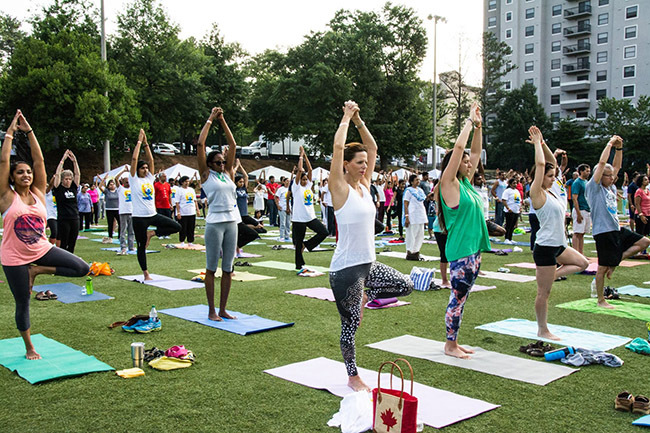 Atlanta, GA, July 10: The Consulate General of India in Atlanta, in collaboration with the City of Sandy Springs and over 30 organizations, celebrated the Second International Day of Yoga (IDY) on June 26, 2016 at Hammond Park in Sandy Springs. 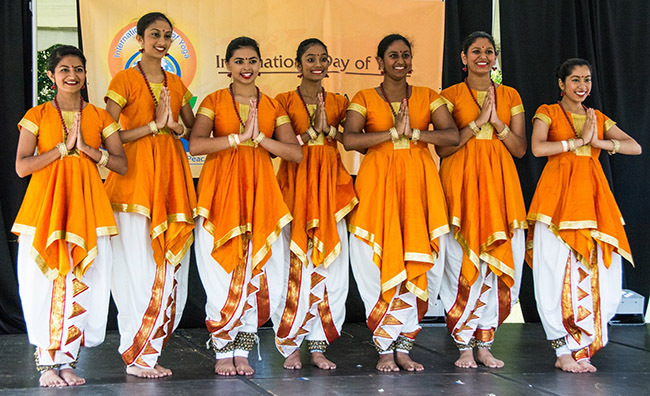 More than a dozen spiritual and yogic organizations actively participated in the celebration. 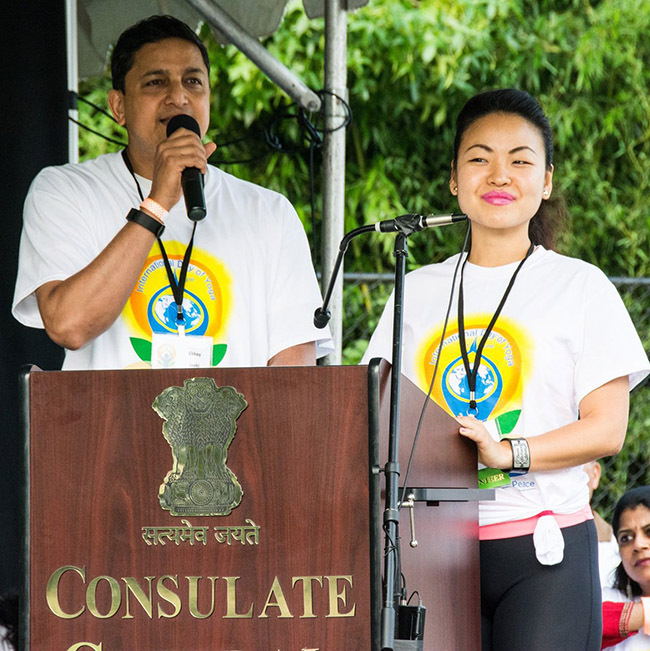 Consul D V Singh from the Consulate General of India in Atlanta, Louise Blais, Consul General of Canada in Atlanta (a yoga enthusiast herself) and Councilman Gabriel Sterling from the City of Sandy Springs participated in the inaugural ceremony and other related events. The event was inaugurated by the lighting of the lamp by the dignitaries in a traditional Indian manner. Dwarkalalji Maharajshree was also present to grace this occasion. He urged the participants to join hands to spread the message of peace, harmony and understanding among communities. The Consul also expressed his gratitude to the city of Sandy Springs and the organizations who collaborated with the Consulate to celebrate the event. The sessions included a common yoga protocol / demonstration of common asanas and meditation, preparatory practices, asanas (postures), pranayama (breath practices), dhyan (meditation), sun salutations and Patanjali yoga sutra. There was also a cultural segment with songs and dances. The event was supported by sponsors and voluntary contribution by organizations including Tech Mahindra, OASIS (AT&T), IACA, Softpath, YesM Systems, Global Mall, Simsam LLC, Gandhi Foundation and IAF. More than 100 volunteers put in enormous efforts to make this program a grand success. 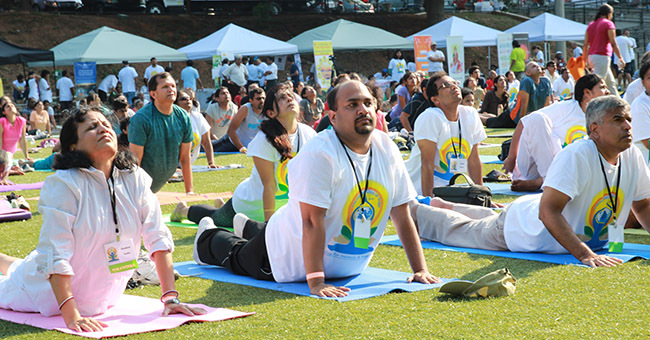 The event was attended by around 1000 people in together who enjoyed doing yoga on a pleasantly warm summer morning. Besides Atlanta, the Second International Day of Yoga was observed in other US states also.